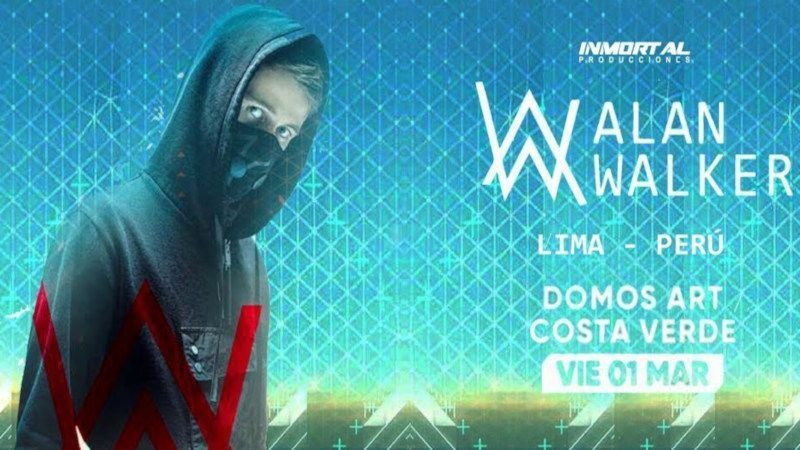 After his outstanding performance at the 10th edition of the Vivo X El Rock Festival, Alan Walker, Norwegian DJ and record producer, returns to Lima at the beginning of March 2019. With hits like “Faded”, “Alone” and “The Spectre” Alan Walker rose to fame in 2015 and today ranks 36th on DJ Mag's Top 100 DJs list of 2018. After having toured through Asia and North America, Walker makes a stop in Lima before heading to Europe as part of his Different World Tour presenting his debut studio album Different World (released December 14, 2018) and his latest single release with the same name.